5 p.m. to 9 p.m. and bring a snack to share. This is a very useful basket woven on an oak turn table base. 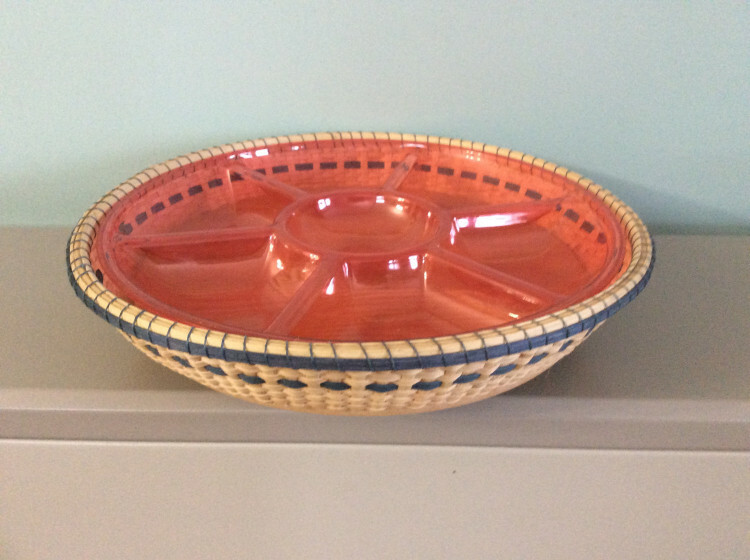 This basket can be made in two sizes, 15" or 13" diameter. The larger size holds a 14" relish divided tray and the smaller size holds a 12" relish divided tray. If you have a relish tray bring it to class or the diameter measurements to make sure it will fit. Color choices will be made in class. 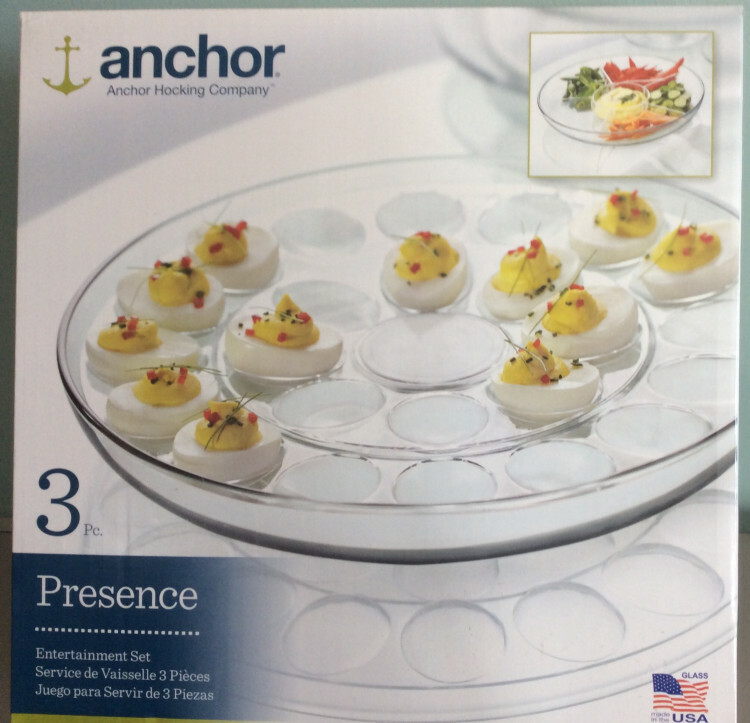 I bought the Anchor Hocking entertainment set (pictured) from Amazon.com that has inserts for deviled eggs or divided tray (it is 13" and fits in the 15" Lazy Susie). The base bowl is a nice heavy glass. Dollar Tree sells the smaller size divided tray plastic insert, a 10-12" would work in the smaller Lazy Susie. Both size baskets will be the same price but please specify so I can order the correct size base.